A Suspended Ceiling is a secondary ceiling hung below the main (structural) ceiling. It is a staple of modern construction and architecture in both residential and commercial applications. Exceptional design choice with variety of styles, textures and colours. Suspended ceilings offer superior acoustic properties to absorb sound, so surrounding rooms are quieter. 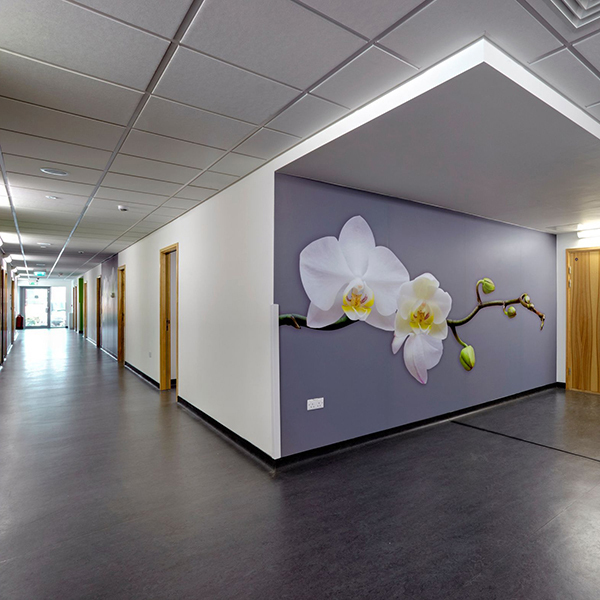 Suspended ceilings are resistant to mold, mildew, bacteria and sagging. Ceiling panels and tiles are fire-retardant and meet industry standards for flame spread ratings. The insulating effect of suspended ceiling panels may help lower heating or cooling bills. Also the highly reflective surface creates a brighter space maximising light reflection and reducing the need for additional lighting. The MF suspended system ceilings are ideal for commercial and domestic application, where services are to be accommodated and hidden from view and when upgrading and protecting existing structures. Ceiling heights may be varied to accommodate these services or ducting, etc. providing a high performance ceiling with sound insulation and fire protection. We repair all types of ceiling to a very high standard from ceiling tiles to plasterboard ceiling. All size jobs and considered when it comes to repairing ceilings.